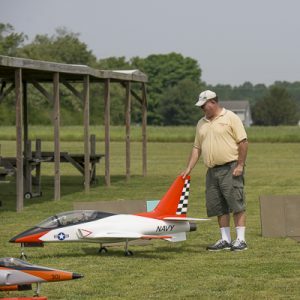 Eastern Shore Aeromodelers Club (ESAC) hosted its first ever Jet Rally at the field on Saturday, April 29. 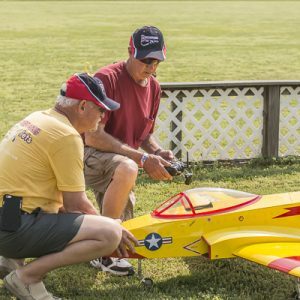 The club now has 4 Turbine Waiver pilots with Tom Perkin being the latest to join the ranks flying his qualifying flight at the event with Andy Kane, CD/Turbine Waiver holder and Dennis Blades, Event coordinator/Turbine Waiver holder providing the required signatures on the Waiver Application. 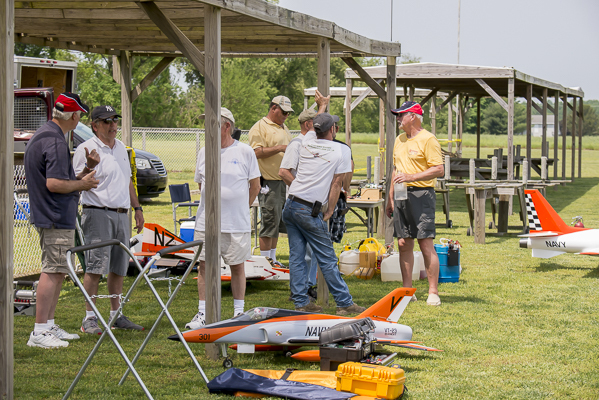 Larry Roper of Boomerang RC Jets and Steven Goler District 1 AVP) were in attendance all the way from Maine. 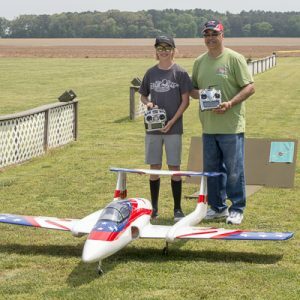 It has long been a club goal to share the wide open field with as many AMA hobbyists as possible, and hosting a Jet Event was the latest effort. 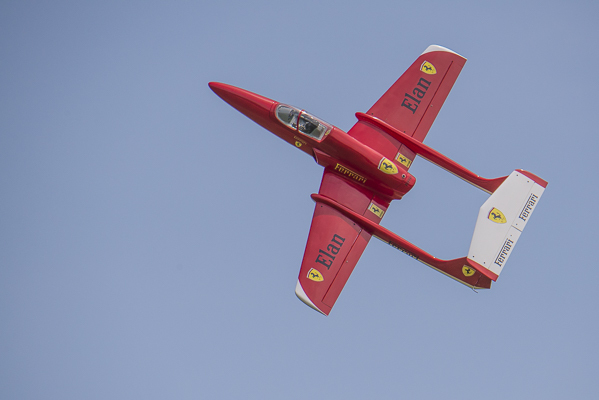 ESAC currently hosts an annual Control Line event and two IMAC competitions during a normal year. 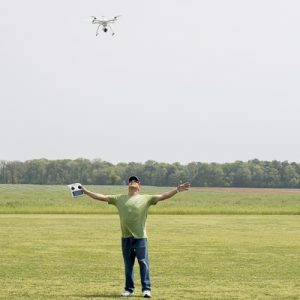 Sharing our wonderful field with the public and other AMA members is one way to keep the hobby alive. 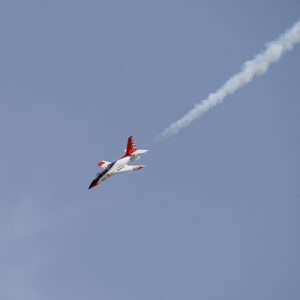 Several invited pilots were unable to attend due to scheduling conflicts, but an open invitation is extended to come fly any time. 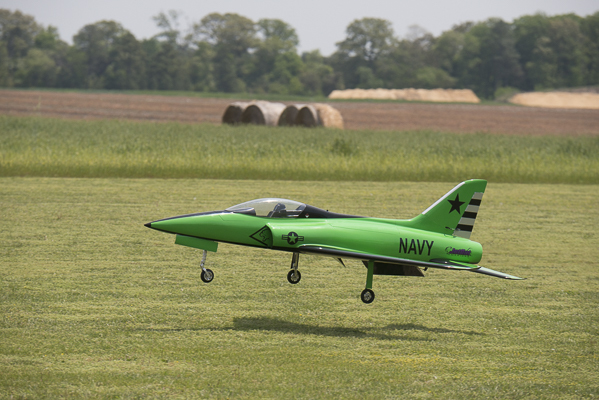 In addition to Tom obtaining his waiver, the folks from Boomerang RC Jets set up a buddy box and invited members to fly. It was totally amazing that total strangers would be invited to experience turbine jet flight with the AMA card as the only requirement. 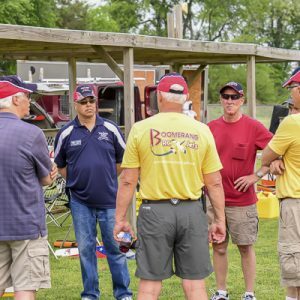 What a great hobby and what a great experience to meet new friends like this. 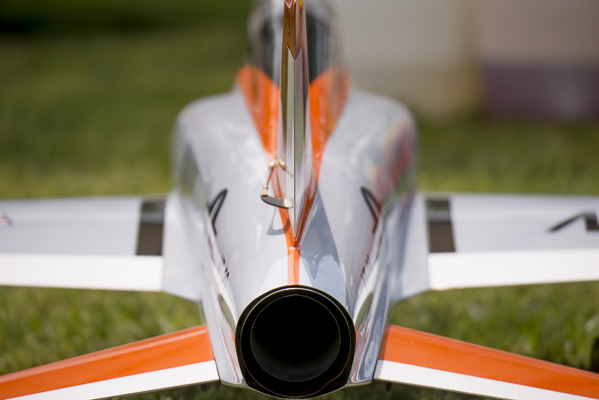 Some pictures of the men and machines are attached.